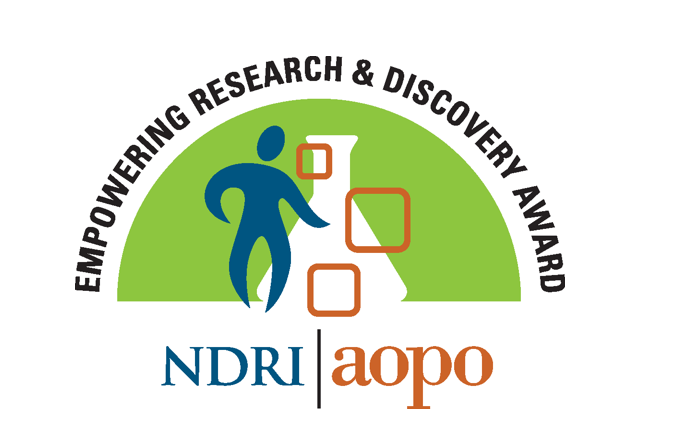 The newly named NDRI and AOPO Research and Discovery award will be presented to an organ procurement organization for their work with NDRI and commitment to research broadly on June 20, 2019 at the AOPO Annual Meeting in Houston, TX. Every year, NDRI distributes biospecimens to hundreds of investigators around the world who are working to advance many areas of science and healthcare. NDRI makes it easy for approved investigators to get much-needed biospecimens prepared, preserved and shipped precisely according the specific needs of the research protocol. “The decision to donate our son Ian’s organs and tissue was the only bright spot in the darkest day of our lives." “…consider offering down the road something worth more than money to NDRI." Researchers continue to recognize NDRI as an invaluable partner as the need for human biomaterials grow. In response, NDRI has developed specialized programs to increase the supply of human tissues and organs for specific areas of research and has established a network of human tissue collection sites throughout the country to procure them. Read NDRI's 2019 Research Nexus for an exciting update on programs and initiatives, and learn how NDRI investigators are accelerating scientific discoveries! Pennsylvania Governor Tom Wolf has appointed Bill Leinweber, President and CEO of the National Disease Research Interchange (NDRI), to serve a five-year term as a member of the state’s Organ and Tissue Donation Advisory Committee. David M. Albert J.D., Director of Strategy, Emerging Business & Venture Capital Group of Cozen O’Connor. Elected on November 2 to a three-year term, Albert will bring his experience and insight to the nation’s leading source of human organs, cells and tissues for research. NDRI’s Board of Directors met on Friday, November 2, 2018 to review and approve the 2017 audited financial statements, filing of Form 990, year-to-date financial and programmatic performance and NDRI’s 2019 Budget. Our executive staff provided the Board with a detailed overview of our many successful projects and partnerships, and included an update on the current status of NIH appropriations. NDRI is very pleased to share that after eight years of advocacy efforts by the Center for Organ Recovery and Education (CORE) and the Gift of Life Donor Program of Philadelphia, lawmakers unanimously passed the Donate Life PA Act (SB 180) on Wednesday, October 10, 2018. Don't Miss NDRI's Tissue Source Site Management experts at the annual ARVO meeting at Booth #1140 in Canada to discuss how our partnerships are driving research and discoveryforward!